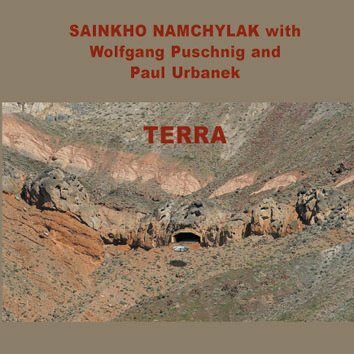 This live recording from the Vilnius Jazz Festival (Lithuania) finds Sainkho in the company of one of the best European jazz musicians Wolfgang Puschnig on reeds and Paul Urbanek on piano. Is throat singing compatible with jazz? Has anybody done that before? And here the brilliance of Sainkho shines through. She sings songs and her overtones swing! Once again she creates entirely new genre all of her own. She meets the harmonic lightness of modern jazz head-on, posing remarkable new challenges to her voice, adding the jazz radition to all the shamanic and sonic explorations she has been famous for.